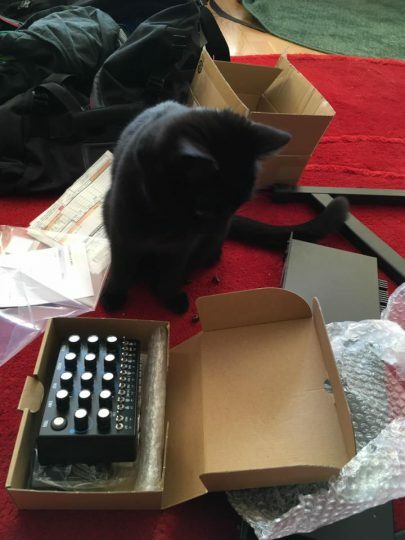 Posted on December 21, 2018 December 21, 2018 by catsynth	This entry was posted in Cats, Synthesizers and tagged black cat, cat, dexter, reon, synthesizer. Bookmark the permalink. Dexter, that looks pretty complicated, but we bet you figured it all out!